If you want to start a successful online business or WordPress blog, you need best WordPress hosting that can help you at every aspect and every stage of growth of your blog. In the beginning stage of your website, it’s ok to go with HostGator Shared hosting plan, because it’s the cheapest and provide hosting with very low price. Here, In this guide, I will provide you best WordPress hosting providers which you can choose from your online business website. But before dive into this, you need to know some rules to follow while purchasing any hosting for your blog. Below are 5 rules you should follow to choose best WordPress hosting. After this, we will provide you our hand-picked top quality hosting to choose for your WordPress blog. Best WordPress hosting is the hosting that gives you high performance and speed. Think of a slow website, if that will happen with your website. You may feel all lost in your online business. You do not want to make this happen to you. Choose a high speed and best performing hosting. If you are a beginner, you can go with HostGator Shared hosting plan. HostGator offered shared hosting plan to the beginner who wants to start their website with high speed hosting at very low price. After you start getting a huge amount of traffic, you need to upgrade your hosting. In that case, you can easily switch to WpEngine. Because HostGator is highly flexible hosting and can help you easily transfer your hosting when you need. If your website becomes popular and getting the huge amount of traffic, you might need a top quality hosting plan. Top quality hosting plan helps you at the time when your website getting a large number of user base. At the starting time, it’s enough for you to just have a shared hosting plan. But in future, if your online business grows bigger, you need a hosting to handle a large amount of traffic. If you do not upgrade your website, your website might be gone through many downtimes and you may lose many customers. So, choose a hosting that can help you at the time you want to migrate your website to other high-quality plans. While looking for a WordPress hosting, search for a hosting which provides customer support in many ways. Means, it can provide support via phone, emails, and chat. If you have any problem and have a question regarding the problem with the hosting, customer support can help you and give you fast support without any delay. Hosting provider must have the expert team that can provide you quality support at the time you need. You need a hosting that provides 24/7/365 days support, so that if you feel any problem with your hosting. You can call to their expert support and in reply, they can give you an instant solution. If you are looking for The hosting should be reliable and provide up to 100% uptime guarantee. 100% uptime hosting guarantees that your website reached to 100% of your readers and users. WpEngine is the hosting guarantees up to 100% uptime. I have used its managed hosting and never had any problem with the uptime of my website. Hackers love targeting WordPress websites because WordPress is the most popular platform for blogging. You can go with WpEngine as a best managed hosting that can helps you protect your website from malware, intrusion and other security issues. Choose the hosting with excellent quality reviews and pass all the requirements for a high-quality WordPress hosting. A high quality and fast support make a hosting a complete package to start a successful online business. These days HostGator have highly qualified customer support via telephone and chat. WpEngine is another hosting provider with great quality managed WordPress hosting and customer support. WpEngine: WpEngine is the High quality and the cheapest among all the other managed hostings. They have a team of WordPress experts which can guide you in WordPress coding also and that makes it best WordPress hosting. If you don’t want to deal with the technical issues of running WordPress website, WPEngine is the best solution for you. HostGator: It’s shared hosting plans are the cheapest and fastest working plan. 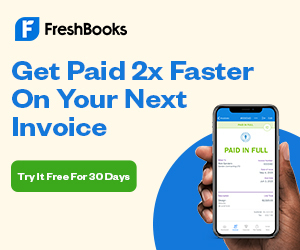 If you are a beginner and wants to start your website. Then, HostGator is the best and cheapest plan ever you can use to start your website or online business. See HostGator review. Bluehost: Bluehost is the most used domain provider and is the oldest among all the hosting providers. WordPress official website recommends Bluehost hosting as the best WordPress hosting for every WordPress website. See Bluehost review. SiteGround: SiteGround is the most popular and highly rated best WordPress hosting provider. WordPress Official website recommends SiteGround as best web hosting for WordPress. 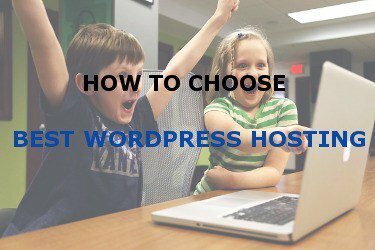 Both SiteGround and Bluehost are the best hosting for WordPress. You can go for any of them.